The state meet in Marshalltown (11/5/11) was especially memorable for the Lincoln Rails Women’s team because school history was made! 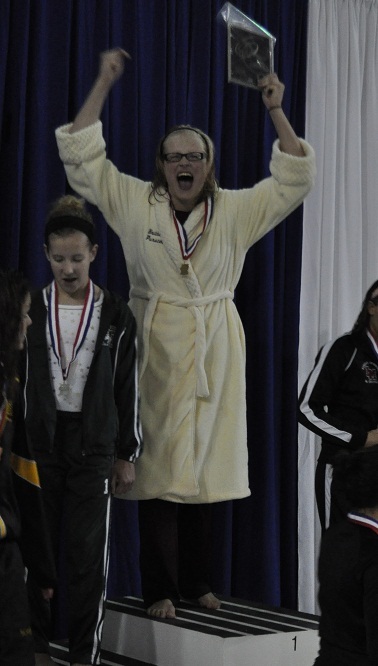 Brittany Purscell, a sophomore, won the 100 Breaststroke in a time of 1:05.55, making her the first women’s swimming state champion in Lincoln history! The race was an exciting one, with Purscell setting an aggressive pace and grabbing an early lead. But the other competitors weren’t going down easy. On the last length, a few started gaining. As the gap between first and second narrowed, the crowd got louder and louder. But Purscell won! She finished strong and took the championship by just over a half of a second. Besides this championship swim, the medley relay team of Abby Harrison, Brittany Purscell, Autum Song and Abigail Contreras also made some LHS swimming history. Their time of 1:56.31 is now the fourth fastest time in school history for that event. With such a young team already making waves in the record books, we are looking forward to the next few years! You can also check out the full state meet results online. Plus in a few weeks, more than 600 photos will be posted on the Swimming & Diving page the Iowa High School Girls Athletic Union site. The focus for Lincoln Swimming now turns to the men’s team, the returning 2010-2011 Metro Champions. 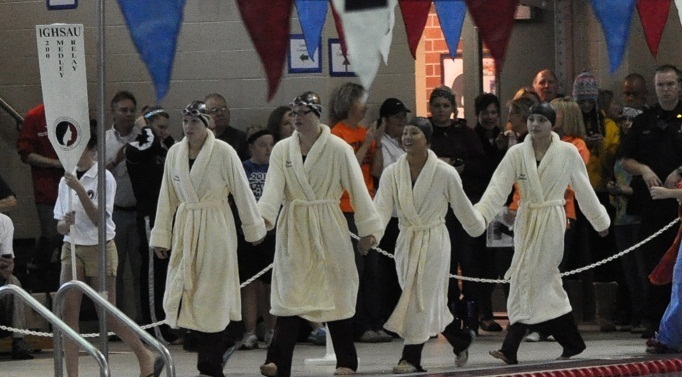 The team began practice on Monday (11/7/11) and they have their first meet, November 22 at home against Mason City.